Sometimes, when we’re lucky, real life can be more exciting than the movies. Like when Michael Jordon wins a championship while practically dying of the flu or when Nabisco came out with Birthday Cake flavored Oreos. Or more recently, when the European Space Agency landed a probe on Comet 67P this week, a feat akin to threading a needle from three hundred million miles away. But these moments are unfortunately too far and few between, especially when it comes to amazing milestones in space travel. Luckily, we’ve got Hollywood to fill in the gaps and act out our wildest aspirations for us. Space movies and space flight in particular, one of mankind’s most cherished yet difficult goals, is often portrayed in the movies in a myriad of thrilling, scary, and trippy ways. 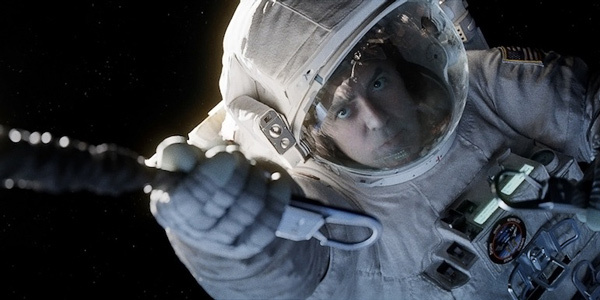 The following eight space movies depict space travel firsts in filmmaking—some we’ve already achieved and some we one day hope to achieve. Many of the films actually contain multiple milestones. While in real life, the Mercury and Apollo missions took space exploration one step at a time, movie audiences are a little more impatient and cinematic versions of NASA and its counterparts tend to kill several birds with one stone. After all, the magic of the movies allows us to do whatever we want, so why aim high when we can aim really, really, really high? Of all the films on this list, The Right Stuff is the only one to faithfully portray our historic progress in space travel. 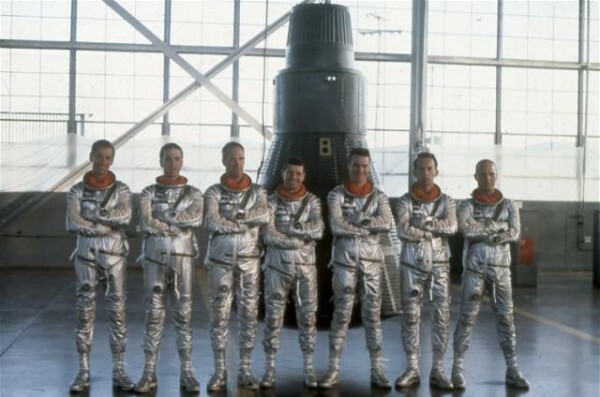 Based on the book of the same name, The Right Stuff tells the story of Chuck Yeager and the Mercury Seven. Yeager was the first pilot to break the sound barrier while the Mercury Seven took turns leaving the atmosphere and orbiting around the Earth. Technically, the Russians beat the Mercury Seven to it, but because they didn’t make an Oscar-worthy film about it, it doesn’t really count. The group of misguided, misinformed people out there that still believe the Moon landing was faked would really bug out if they found out the reason we sent Neil Armstrong and Buzz Aldrin was to investigate a giant crashed alien spaceship. That’s what happened according to realistic drama Transformers 3: Dark of the Moon, directed by naturalist auteur Michael Bay and starring method actors Shia LaBeouf and Bumblebee. President Kennedy chose to go to the Moon and the other things, not because they were easy, but because a bunch of evil giant robots from Cybertron slammed into the lunar surface and we needed answers. Come to think of it though, that’s a way better reason than just trying to make the Soviets look weak. 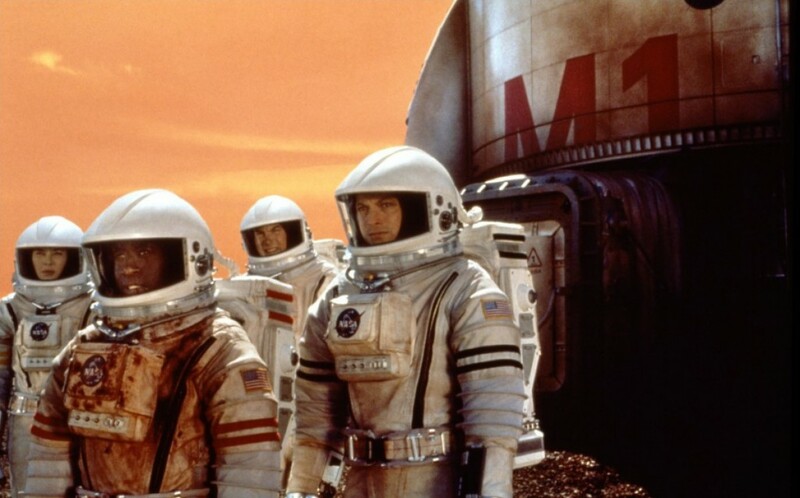 In Mission to Mars, Don Cheadle is one of four astronauts to first land on another planet. However, things go horribly wrong—because watching a bunch of scientists take dirt samples isn’t exactly exciting sci-fi—and Cheadle is left the last man standing on a rust-covered planet of his own. Cheadle does what any of us would do and grows a crazy beard and loses his mind just a little bit. After all, like the suburbs, there really isn’t anything to do on Mars. Cheadle was supposed to be looking for water or signs of life, but in the end, he would’ve been happy just to stumble across a deck of cards. Before we could reach Ridiculous or even Ludicrous speed, humankind must first achieve light speed. 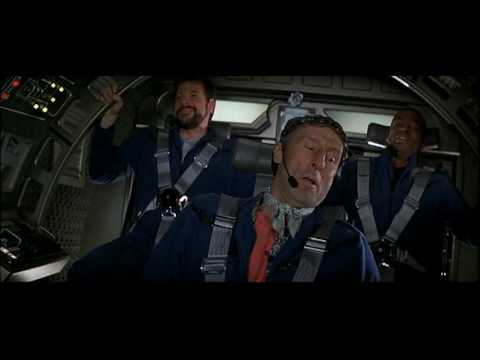 In Star Trek: First Contact, alcoholic engineer Zefram Cochrane does just that, reaching Warp Speed in the middle of the twenty-first century. Using the first ever warp drive, Cochrane piloted the Phoenix into the fake-history books the same way most of us drove our first cars—hungover and blasting Steppenwolf. Cochrane’s magic carpet ride gained the attention of nearby aliens, the Vulcans, and instituted to an era of interplanetary peace. Not bad for a day’s work. Traveling at the speed of light is pretty amazing… for a beginner. But space is really, really big and if you want to get to any galaxies that are far, far away you’re going to have to do a lot better than 186,000 miles per second. Wormholes are the universe’s shortcuts, if Einstein is right and they actually exist. In Interstellar, Matthew McConaughey and company ride through a wormhole near Saturn, a spherical bend in the fabric of spacetime that bends minds and makes for a great screensaver. Technically, they’re not the first though—they are preceded by an earlier team of astronauts led by another handsome, charming movie star. By the way, did we mention that only attractive celebrities can travel via wormhole? Einstein specifically made sure to include this in his theory of relativity, being a huge Mary Pickford fan and all. 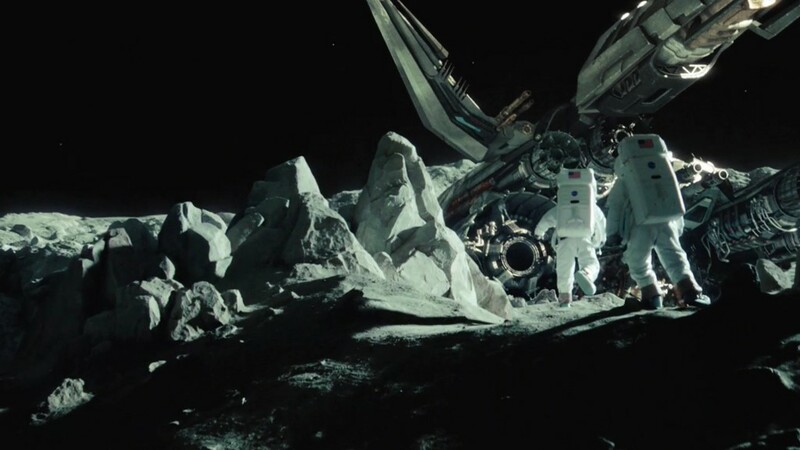 Interstellar’s story also included mankind’s first passage through a black hole, but Christopher Nolan being Christopher Nolan, the sequence is overwrought and emotional, with plotlines intersecting themselves so many times they get caught in a knot. 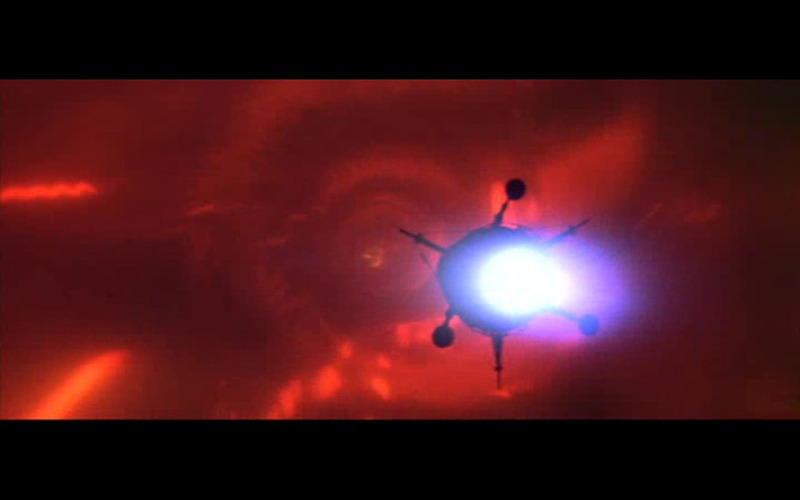 While the scene definitely has its merits, especially when seen in IMAX, it’s no match for 1979’s The Black Hole, a movie whose title betrays its complete lack of subtlety. The black hole in Black Hole is a glorious product of 60s and 70s psychedelia and chintzy, cosmic special effects, a dreamlike world that contains both Heaven and Hell. Scientists after all have no idea what actually lies inside a black hole, so filmmakers might as well have fun with it and throw in angels and the Devil. The movie also has sassy robots, because all space movies need sassy robots and/or Ed Harris. The human race is constantly trying to journey out farther and farther. Sure, we need to find a new home before we completely ruin this one, but really, we’re just looking to answer the age old question: Are we alone? Finding another intelligent species is space travel’s Holy Grail, the ultimate result of our ingenuity and hard work. 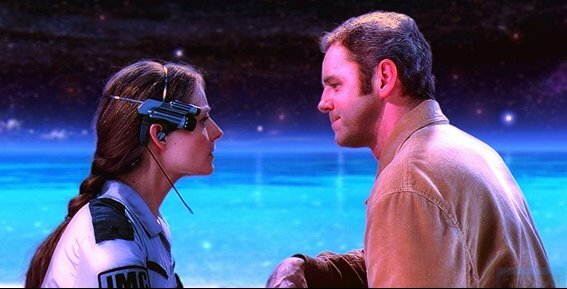 Contact, based on the work of an astrophysicist who wore his heart on his sleeve, Carl Sagan, dramatizes that idea by having the aliens take the form of Jodie Foster’s late father. 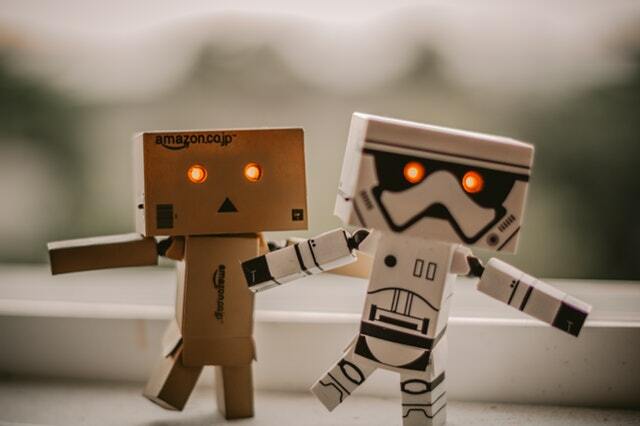 What better way to cast our yearning for intergalactic companionship and the answers to our cosmic origins then in the form of a lost parent? Contact doesn’t just thrive in its metaphysical storytelling. The first craft to travel through dimensions in the film is built by a private billionaire, presaging the future of space travel. With real life billionaires like Elon Musk and Richard Branson paving the way forward for the privatization of space exploration, we may only just be entering the golden age of interstellar travel. If we’re lucky, our real life milestones in space flight may soon outnumber—and out-wonder—anything our most creative filmmakers can think of.